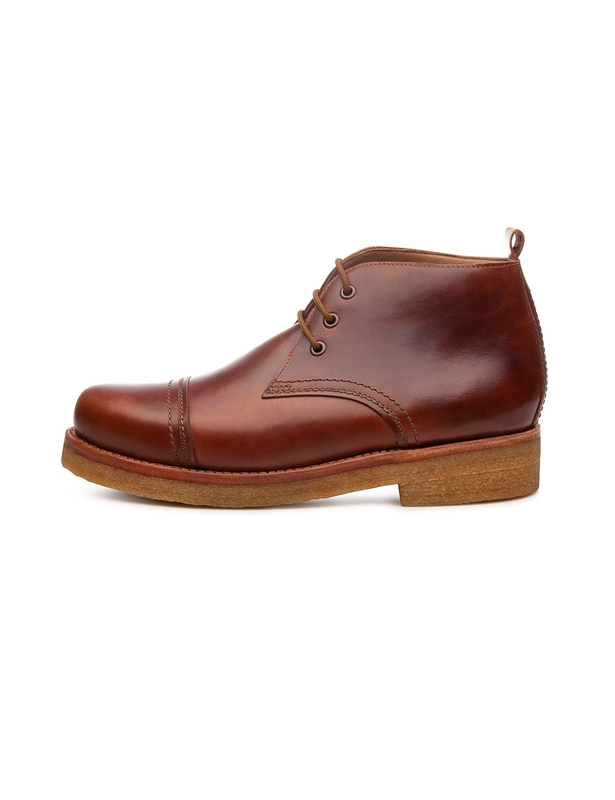 Mambo The pull-up calf leather is additionally waxed, giving it a typical greased-leather patina over time and making it extremely robust. 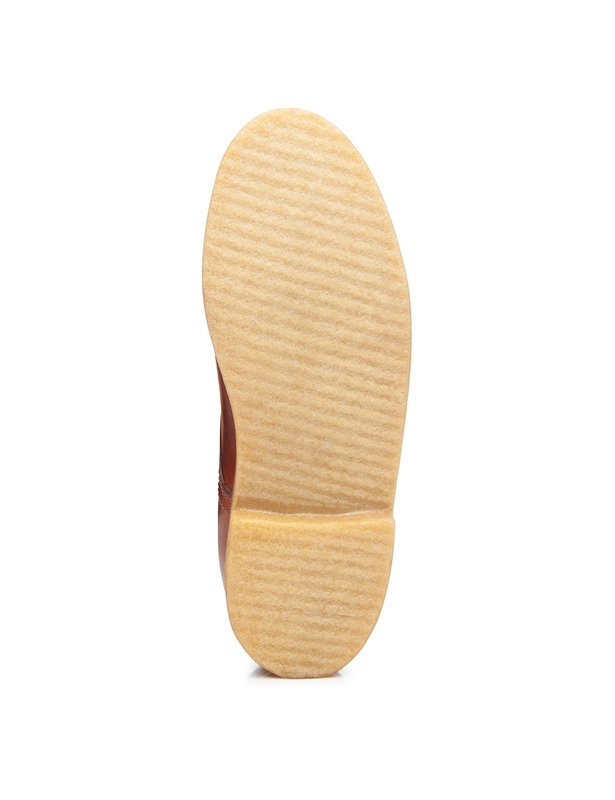 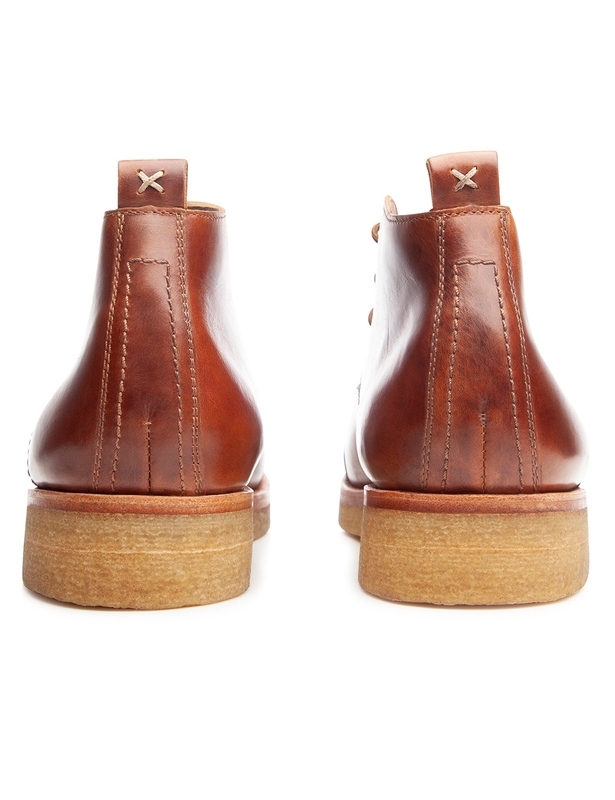 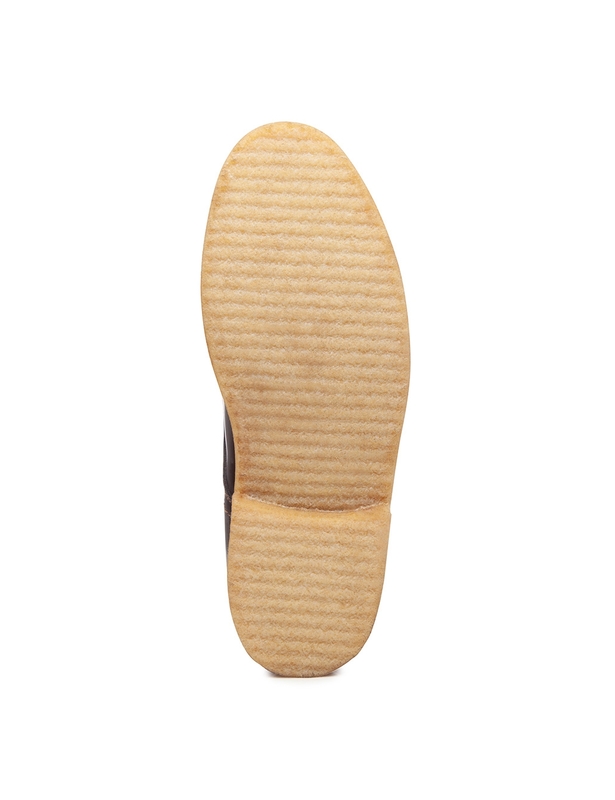 Triple Sole with Natural Crepe The triple sole consists of a leather midsole as well as two natural crepe rubber soles and is, therefore, particularly suitable for wet and cold days. 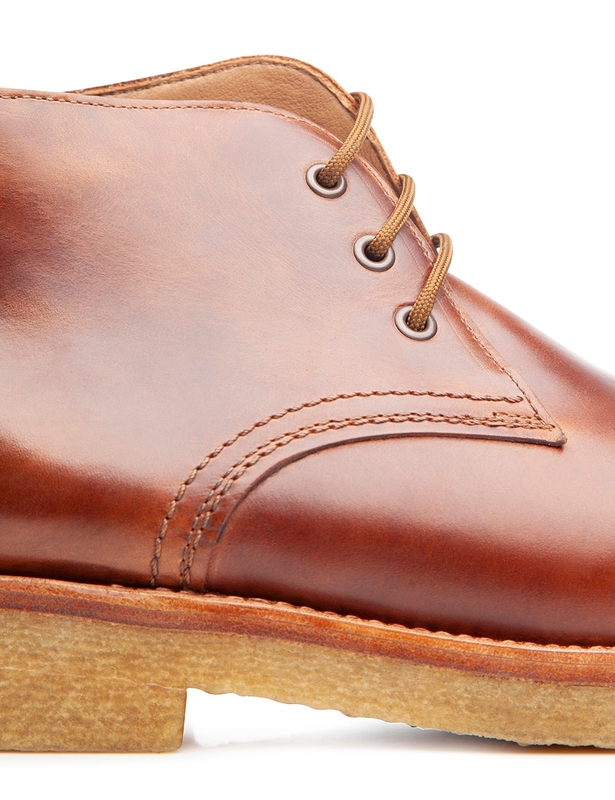 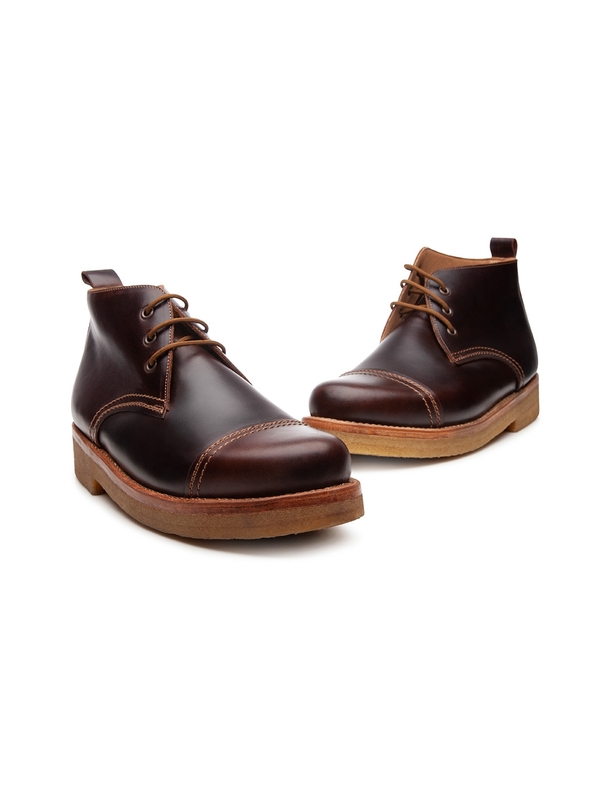 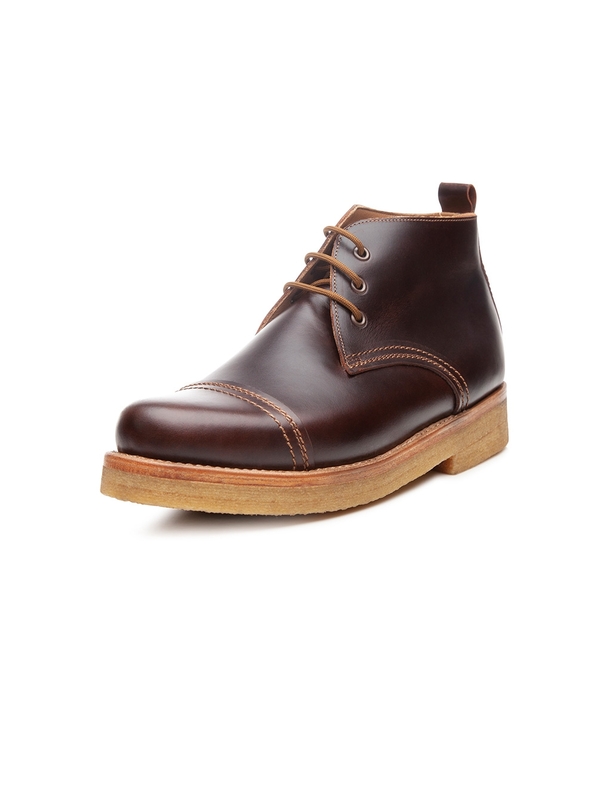 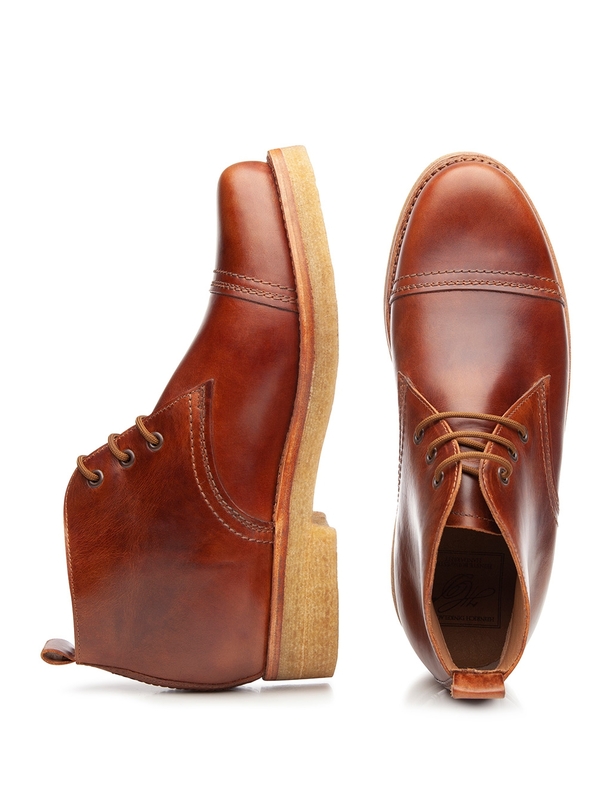 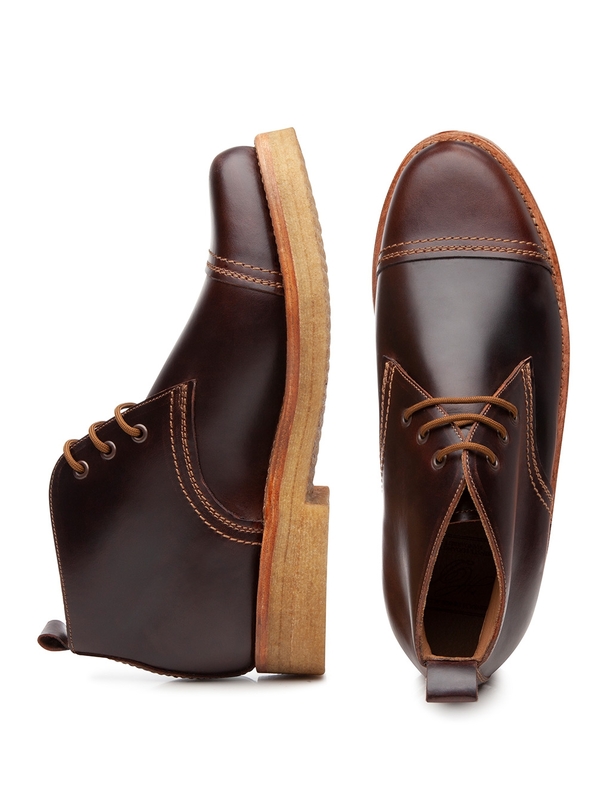 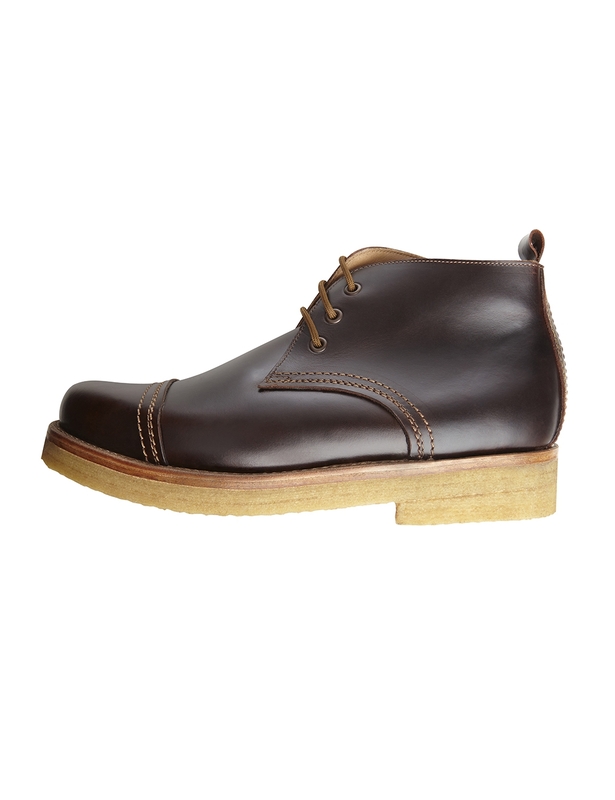 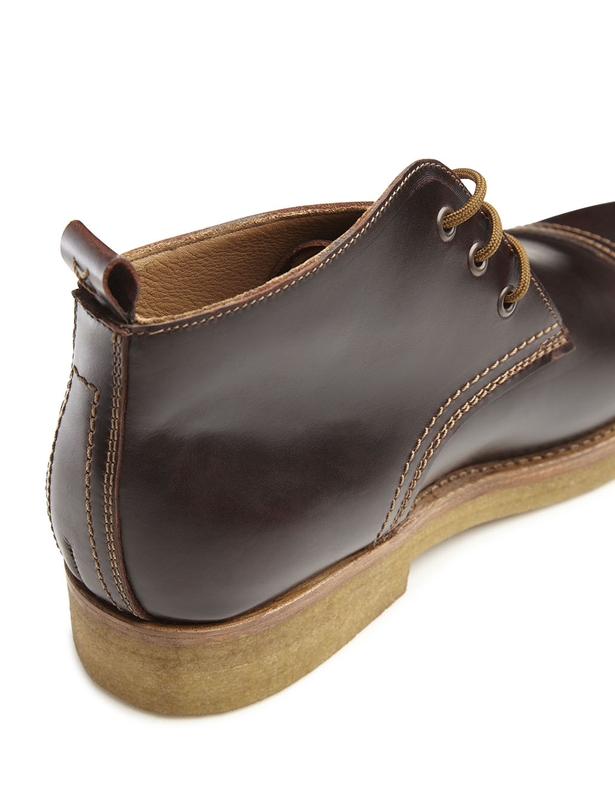 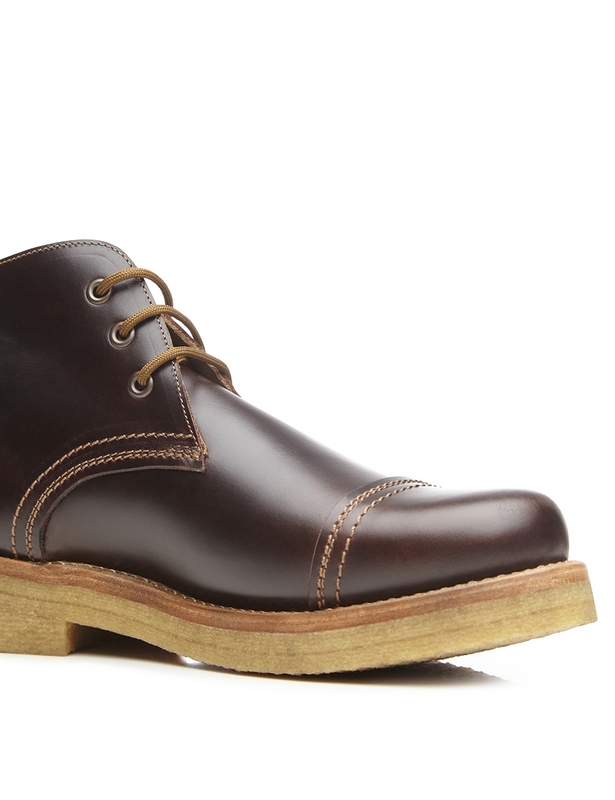 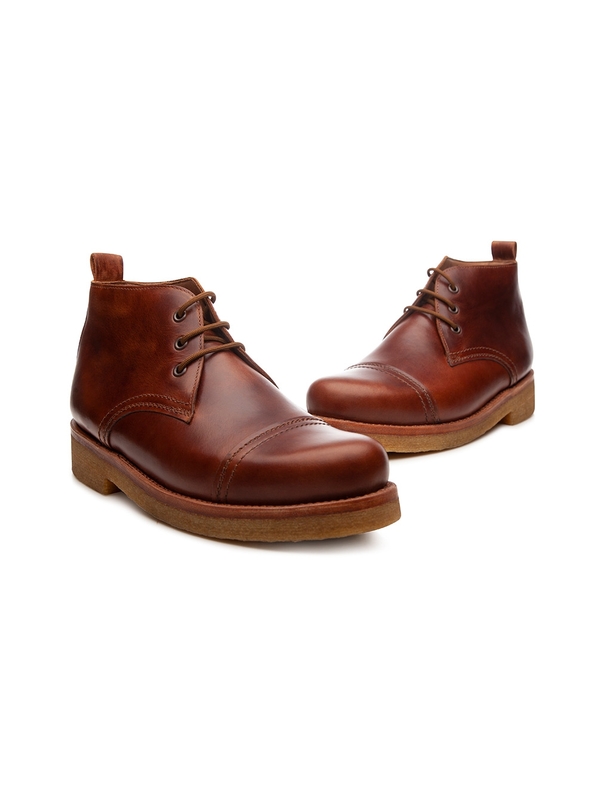 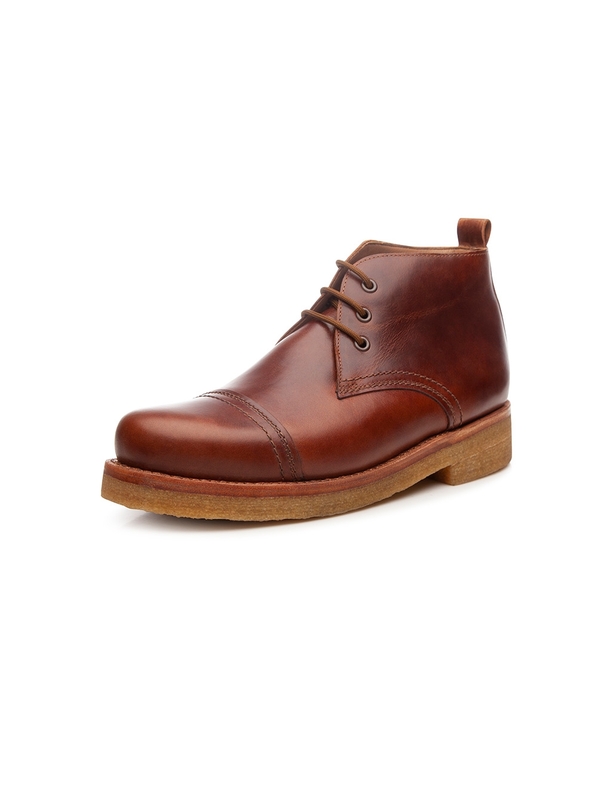 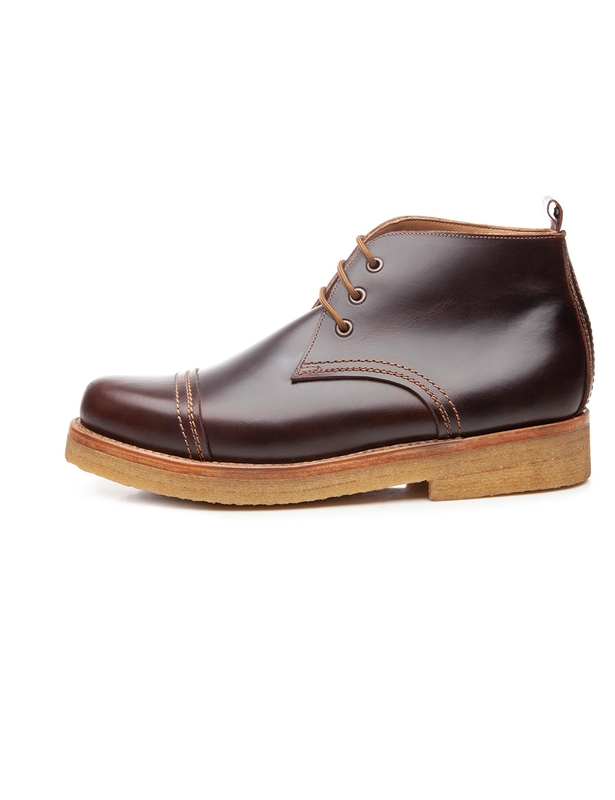 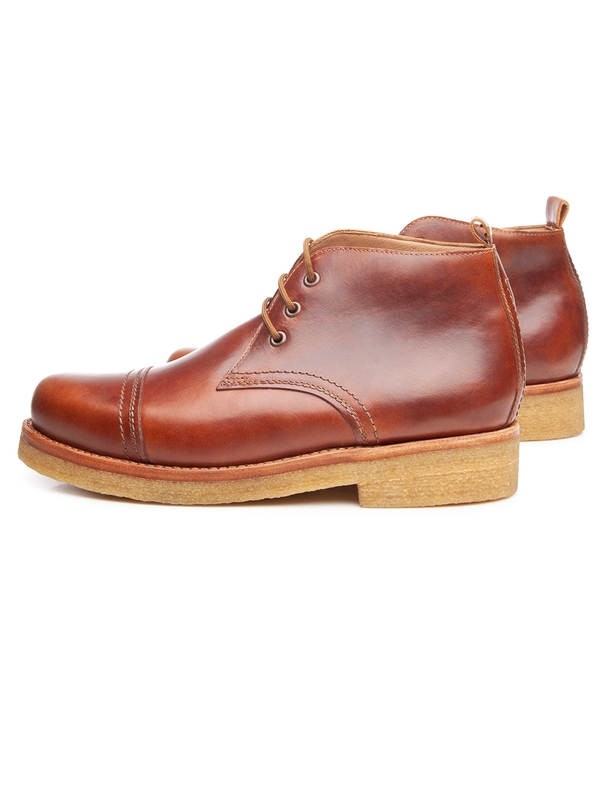 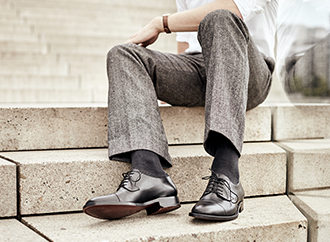 This sewn-welted ankle boot for men is a reliable companion that withstands the wet and cold particularly well thanks to its double natural crepe sole. 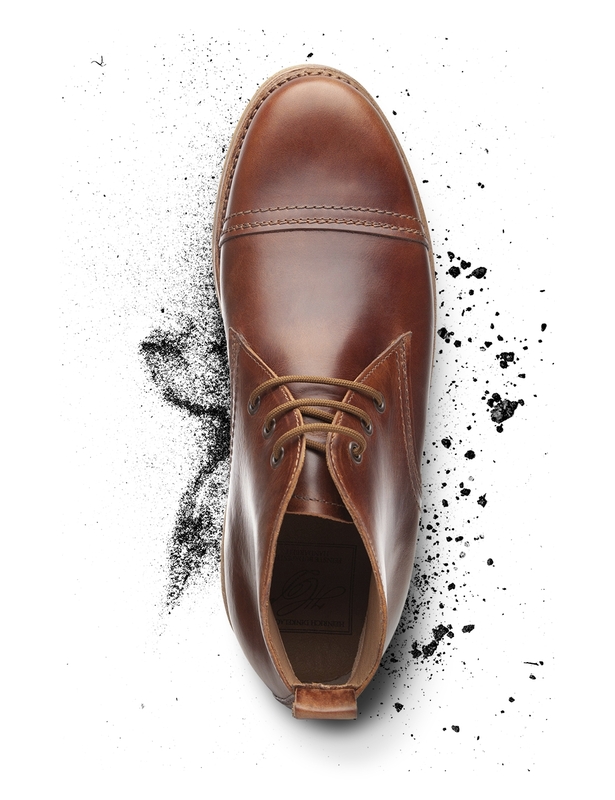 The sewn-welted men's shoe convinces with its open three-eyelet lacing and simple design, which nonetheless emphasizes the durability of this model with details such as the cap-toe seams. 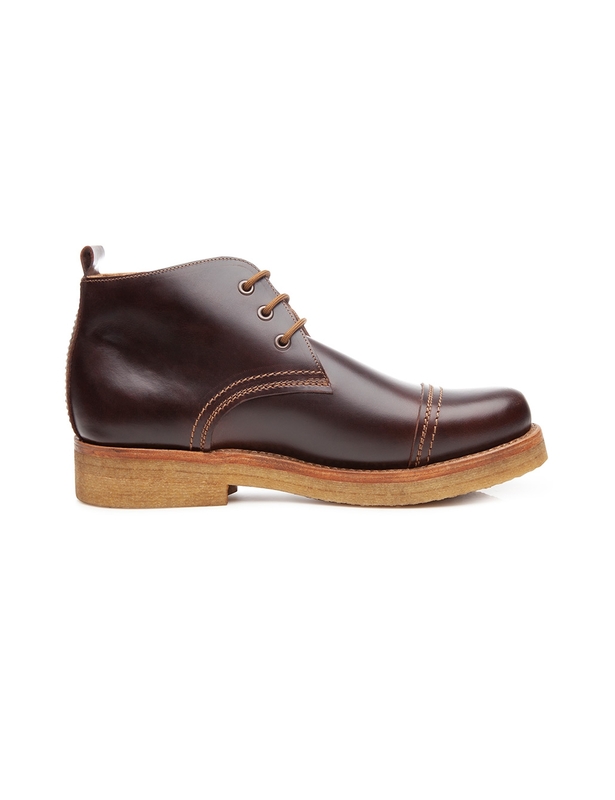 The waxed Mambo calfskin makes this shoe the perfect companion as the autumn season falls upon us, and the elaborate workmanship on the Rio last ensures that it is also extremely comfortable.